Do you feel stuck in your comfort zone? Lost with what to do with your future and need guidance? Are you finding a hard time finding your own personal coach? You finally found the solution!!! 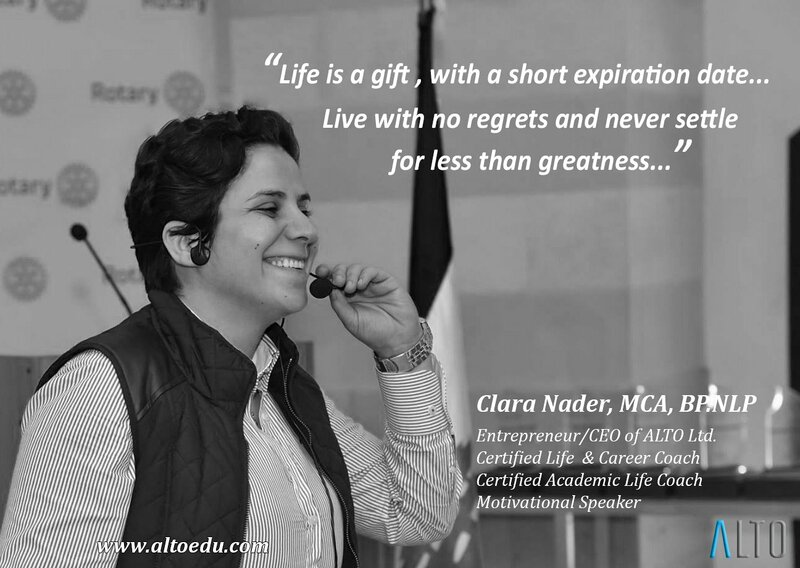 Clara Nader is the founder and Co-CEO of ALTO ltd. A Certified Life and Career Coach that will assist you to get on the right track whether it is personal or professional guidance you need. Find us on Lebtivity and start doing something right for yourself! We are gladly ready to hear from you.